The Basic Box €44,00 (every week). Suitable for a two persons household who love to cook and do so often. Also suitable for a small family (2 young kids). The Veggie Box €37,00 & Basic Box €44,00 (once a month). Suitable for a single or a two-persons household. It’s perfect for people who want to be surprised with unknown & good local products. The Veggiebox €37,00 & Basic Box €44,00 (twice a month). Suitable for a single person who loves to cook and who enjoys cooking for friends once in a while. It’s also suitable for a two-persons household with people that love to cook with good ingredients, but who don’t have time to cook every day. The Family Box €49,00 & Veggie Family Box €42,00 (twice a month). Suitable for a family with 3 or 4 grown ups, who love to cook and do so often. The Family Box €49,00 (every week). Suitable for a big family with two or more teenage kids. 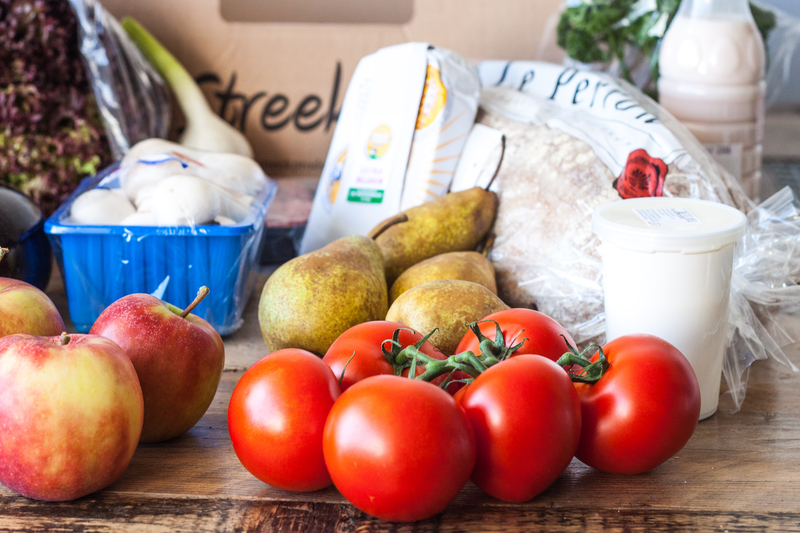 This box is perfect for busy parents that don’t have the time to shop local & organic groceries every week. Check out their delivery area and delivery timetable (The Netherlands only) here. The content of my Basic Streekbox was fresh, tasty and good. Lots of great ingredients. My favorite ingredients where the tasty tomatoes and the huge zucchini. I’ve used this to make a vegetarian pasta. I’m not really a fan of whipped cream, but I added a little to my pasta sauce, making it creamy and delicious. The apples where really good, juicy and sweet. I’ve made some nice juices with these beauties! With every box you get a printed list with some amazing recipes! Find them all here. 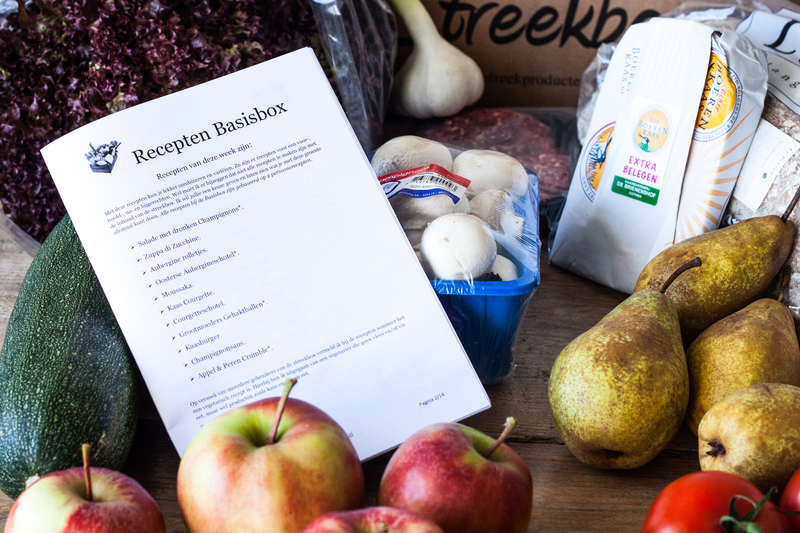 The whole list of my Streekbox ingredients is found here (in Dutch). I think it just really depends on what week you receive it, one week the box might be full of new veggies and items that you have never seen before, the other week can be less fun and new, but never less tasty and good :). 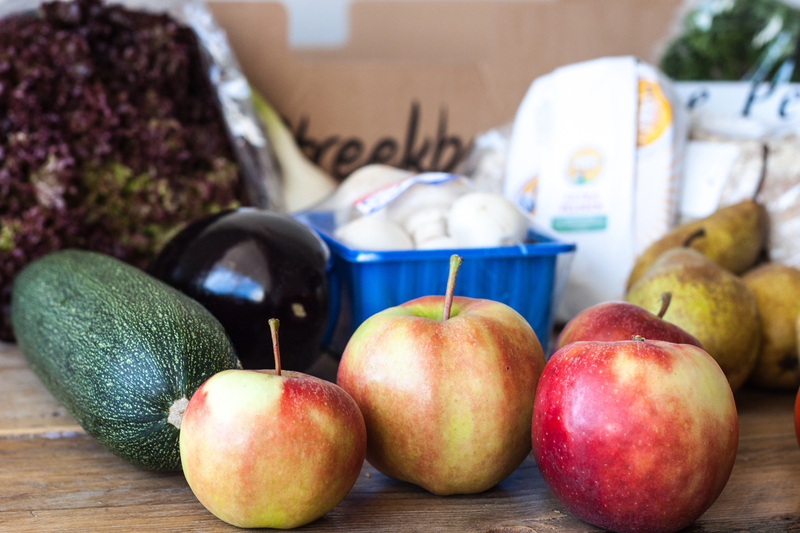 In my opinion, Streekbox is a great food box, filled with the best, fair trade and organic products from the Dutch countryside. Perfect for people like me who work late and can’t always make it to the organic grocery store in time.